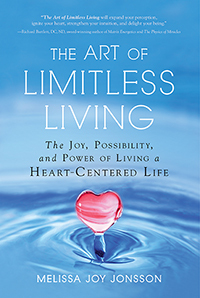 Join inspiring, life-transformational leader Melissa Joy on a journey to the heart of interactive reality creation, where self-love is the new normal. Humanity is in a position that we have never been in previously, on new and unfamiliar terrain. You may be at a place in your own life where you are aware that "tried and true" behaviors and beliefs are no longer working. You may be unsure how to proceed. Through the art and science of the field of the heart, Melissa Joy will playfully guide you to experience heart-mind synthesis, your 'True Authentic Self' and 'True Authentic Relating' for personal transformation and empowered living. Embody joy, freedom and possibility as an every-day every way experience. Melissa Joy Jonsson is the founder of M-Joy, a unifying "we" movement that provides a new language to experience self-love as integrity. She is best known for her ability to engage people to embrace their true authentic power by playing in the field of the heart.